Following the positive theme set by local artist Steve Parsons earlier this year, this poster series contains a positive message but is also a protest poster. 1985 Corita was asked to design a postage stamp in 1980. After several years in limbo, the design is issued. The unveiling takes place on the Love Boat. Furious, Corita refuses to attend saying that was not the kind of love she meant. She had wanted the stamp to be unveiled at the United Nations. In response she makes the work love is hard work. 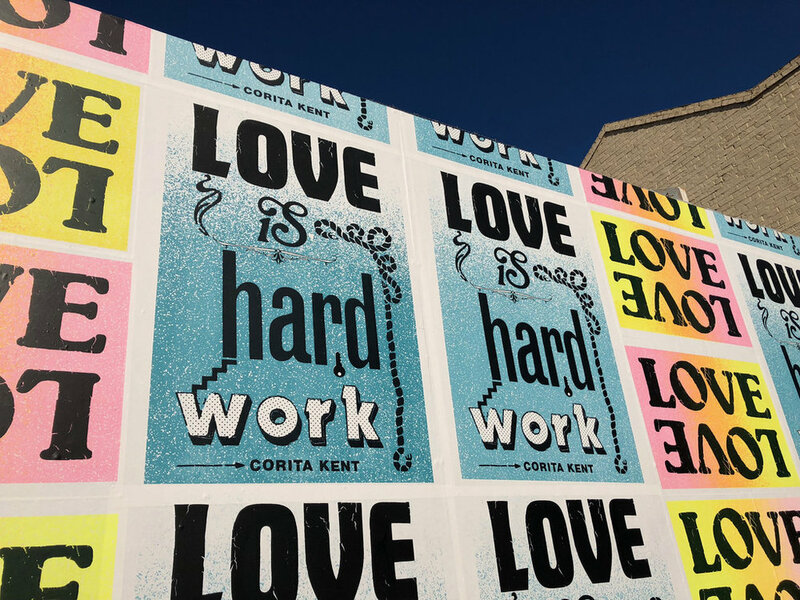 This year celebrates 100 years since the birth of the most amazing women I (unfortunately) didn't get the chance to meet, Corita Kent (1918-1986). 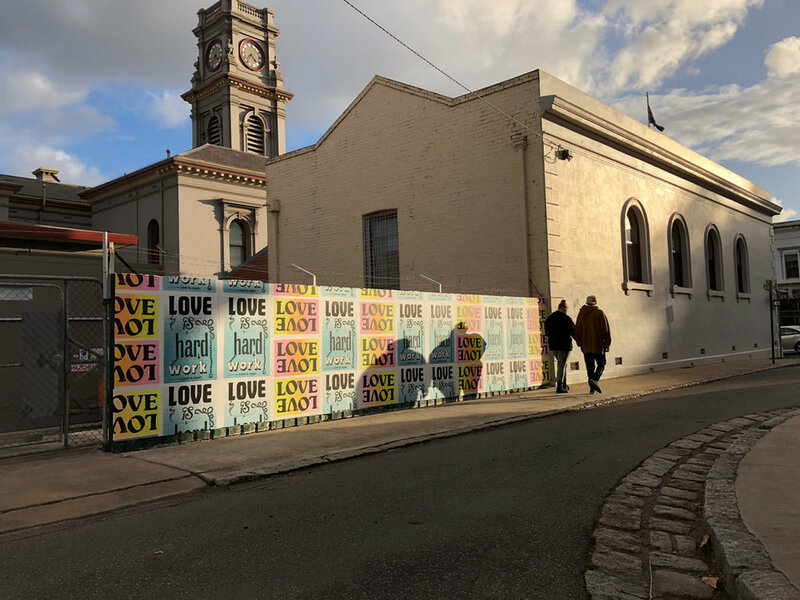 The artwork covers twenty meters of wall and has transformed the laneway. This work is the second of a series of works commissioned by the Mount Alexander Shire Council for the popular lane way. This exhibition has been supported by the Mount Alexander Shire Council, with special thanks to Waverley Council Artist Studios & SCA.